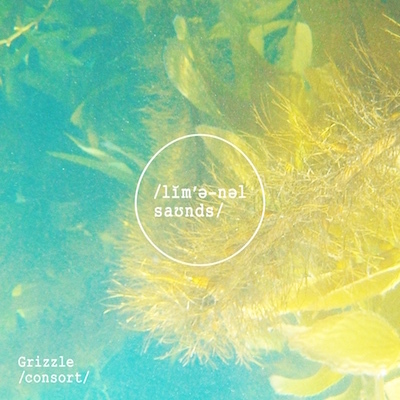 We’re excited to welcome Grizzle to the Liminal Sounds family for the release of his debut EP, ‘Consort’. Ahead of the release of the EP, which is out on Friday 20th October, we caught up with Grizzle to get a deeper insight in to his influences and approach to making music, as well as what people can expect from the record when it drops. He has also delivered a concise 30-minute mix as a companion piece to the EP, weaving together the different sounds that flow through ‘Consort’. Read the interview below and download the mix at the bottom of the feature. I’m Griffin Haworth, aka Grizzle, 22-year-old DJ/producer and proud adoptive North Londoner transplanted from NYC in 2002. Right now I’m based out of Hackney with one musical foot in Manchester. When did you first get into production and what inspired you to do so? Hip-hop was the first thing to properly obsess me as a kid, and nerding out over it from the age of about 11 led eventually to an interest in how the beats worked, what kind of weird unseen technical labour went into electronic and sample-led music, basically what a producer was even there for. I went through hours of making-of videos by sample-chopping YouTube producers and started experimenting on crude early versions of GarageBand for Mac. By the time I went off to Manchester for uni in 2013, I had a tentative half-serious Soundcloud and ears mainly for what people like Slackk and Samename were doing at the time, but hadn’t budged off Garageband and was still essentially messing about. On some level I was making sure I kept it amateur so that I’d never actually have to find out whether I was any good. It took Fallow (now a Chow Down co-resident and labelmate) hitting me up out of the blue about mixing and making stuff together to get me using Ableton and working on music I really cared about. 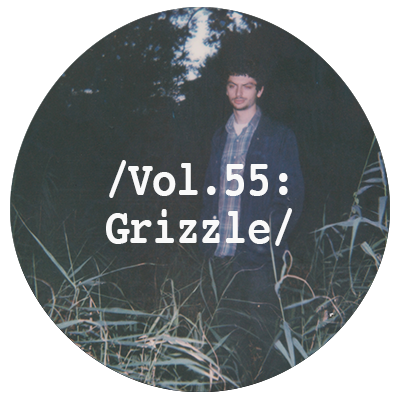 By the end of that year, I’d started producing seriously under Grizzle. How do you think your production style has developed to the point it is at now? I find that lots of my early tracks would revolve around a single motif or idea that I’d liked and looped into oblivion just because it worked and I wanted to cut my losses. My growing out of that approach, getting brave enough to try and make something as rich as it feels like it should be, is probably the most significant and traceable way I’ve developed as a producer. There’s also a lot that hasn’t changed at all, especially in terms of the sounds, textures, and moods that get me going, and I think that that consistency is at least as important as the progress I’ve made elsewhere. When you sit down to make music, do you have a clear idea of what you want to do with a track before you start? Not at all, if I can help it. I find working with preconceived ideas about a track that doesn’t exist yet very stifling, and pretty at odds with the way I relate to my music. Not knowing what I want to hear until I play the right thing in is one of the most stimulating parts of the whole process for me. Without getting too abstract, I feel like making a track is more about an idea making itself known than me trying to force one out. I try to trust the feeling the song gives me once I’ve played in something I like, and I let that guide my decisions from there on out. How conscious are you of how a track will work in a club when you are making music? I used to think about functionality and club-readiness a lot, but again that made the process a lot less organic and ultimately less fun. I’d come out with these “club tracks” that didn’t nail any formula well enough to be really effective in the club, but also weren’t original enough to mean much to me outside of that context. Putting less thought into that side of things definitely helped me figure out my sound, though I still feel what I’m making is “dance” music – I can never fully divorce the music from its club-based influences, or from my sensibilities as a DJ who plays danceable stuff. It’s just important to let that come through naturally. Across all of your music, do you think that there is anything inherent to everything you make? Any fundamental principles that tie it together? I’ve never made a fully conscious effort to keep anything constant between tracks, beyond some basic ideas about structure. Most of what carries over from song to song is a matter of gut feeling – themes and sounds I only discover I’m not done exploring when they start cropping back up as I write something new. Working with vocal chops has, in this way, become pretty central to most of my music: the tracks I’ve ended up happiest with rely on an emotional punch that comes out of nakedly human sounds brushing up against these unfamiliar synth-intensive soundscapes. While not quite a principle, achieving that effect with found vocals is something I respond to strongly and regularly enough for it to have become a bit of a cornerstone. You will be releasing your next EP with us. Can you tell us a bit about the record and what people can expect from it? ‘Consort’ is my debut solo release, and contains four tracks produced in more or less chronological order between my last year studying in Manchester and the summer in London that followed. I first thought of it as a way of meaningfully capturing the kind of thing I’d been drip-feeding for so long in the form of remixes and one-off originals. My output was really staggered and sporadic, though all that time I was driving at a sound I felt needed to be heard as a sustained and substantial piece of work. It was a good two and a half tracks long when I got it signed, and I’d just moved back down to London with no idea what my life was supposed to look like. Writing the rest of the EP knowing that it was now going to be an EP felt a lot different, but also like the follow-through to a larger gesture that had started with the music I’d made in Manchester, and so ended up helping ease the whole transition. The tracks themselves are dense with melodies and detail in a way that kind of mirrors the experiential overload that marked that period. They’re about changes in company and relationships and environment, or are at least inscribed at the micro-level with my feelings on those things. They’re a tangle of musical influences and references that I can’t readily pick apart looking back, but you can expect my takes on the sonic makeup of grime and new-generation UK rap respectively to come through pretty strongly at points. “Sermon” is a foray into collabing with vocalists that I’ve been working up to for a long time, and anchors the EP as its clearest expression of my love for what’s happening in UK music right now. ‘Sermon’ features a vocal from ShaqyDread. What made you want to work with him on the track? And what do you think he brings to the instrumental? I found Shaqy on Blackbox, a YouTube freestyle series that has incubated a load of really important UK talent over the last couple of years. The ‘Sermon’ instrumental came out of those first few fevered weeks of getting really seriously into the rap and drill stylings of some of the platform’s earlier guests, and then months down the line after getting the EP signed I saw Shaqy’s instalment. His vocal range in that video is ridiculous – just this complex and satisfying mesh of R&B inflections and double-time flows and bashment-style patois. I’d left room on ‘Sermon’ for someone who would take the track in as many different directions as they wanted, just following the mood and adding to it in unexpected ways. As it turned out, I got in the studio with him and he did exactly that without me having to say much of anything. I’m not sure how to put it – you can hear on the record how naturally that session went. You are also part of the Chow Down crew in Manchester. Can you tell us a bit about Chow Down and how you linked up with them? Chow Down had been running as a monthly night in Manchester for a few years before I moved up in 2013. I’d noticed them early on for booking Grime and club artists I thought only existed on tiny blogs I read and my own iTunes, but I never went down alone. When Fallow and I met, we were both just playing the odd set around the city and finding our feet with the production, aware of the night but totally unaffiliated. Another rogue Fallow inbox later, founder Craig AD was round for a mix. That led to relationships with residents Finn and Marcx, and then beyond that this whole extended family of supporters and associated artists. Fallow and I started playing the shows, working on music with everyone, taking full advantage of this community setup we’d been missing out on. Four years later, the nights continue and we’ve just launched as a label with the release of our newest resident Anz’ debut EP. Expect music from the rest of us – Fallow, Finn, Marcx and me – as well as from some close friends in the very near future. Can you talk us through the mix that you have put together for us… Is it a fair representation of what people can expect to hear from you if they go see you play in a club? I wanted this mix to be more of a companion piece to my EP than anything else, so it’s heavy on big sweeping melodies and vocals that complement them. While I do value those things in a club set, I usually try and break that vibe up at points with a lot of higher-energy stuff. I also get a bit more indulgent with blends on here than usual – this mix is all about sounds I love sitting together and bleeding into one another, just like with the record. Hopefully it turns you on to one or two UK rappers along the way too.